So I’ve learned something very important this week. Grab a drink, move in close and listen carefully: I have zero self control with chocolate cake. Every year, growing up, my mom would make me a chocolate cake for my birthday. You know the cake…those amazing doctored-up box cakes that are the confectionary equivalent to crack. One year in particular, my best friend and I hid in a corner of the kitchen and ate the entire cake, top to bottom. Plate licked. Zero shame. I don’t even remember feeling sick. So when I was testing this chocolate malted layer cake and had that first bite, it was like Pandora’s box had opened. Next thing you know I’m shoveling fistfuls in my mouth. At an alarming rate. I didn’t even pause a beat to see if the kids were watching this complete and utter lack of self control. I simply didn’t care. But, to be fair, I don’t think loving chocolate cake is a stretch for anyone. Unless chocolate’s not your thing. Then I’m surprised you’ve read this far. But let’s move on to the malt bit. I love malted anything. That love affair began many moons ago when my parent’s would take me to Thrifty’s for ice cream and the only flavor I would ever get was Chocolate Malted Crunch. OK, I did have a pretty intense period with Bubble Gum ice cream…but Malted Crunch has been my consistent companion through every friendship, relationship, college, babies…you name it, it’s been there. We now have a Rite Aid down the street from our house and it’s still the only flavor I get. Just ask my kids how I feel when they tell me they’re out of Malted Crunch. Go ahead. Ask them. So for me, as noted above with the annual chocolate birthday cake, a celebration isn’t a celebration without chocolate cake. Hence I made this little chocolate malted layer cake number for you all for Valentine’s Day. A lot of people complain about it being a ‘Hallmark’ holiday. To which I think, are we really complaining about one more reason to celebrate? More reasons to make people you love feel great? I don’t know…I’m kinda all in. It doesn’t mean I’m gonna shove my pasty bod in a corset. It’s more along the lines of sweet treats for my kids, a special dinner, lots of snuggles. I can never have too much of any of that. 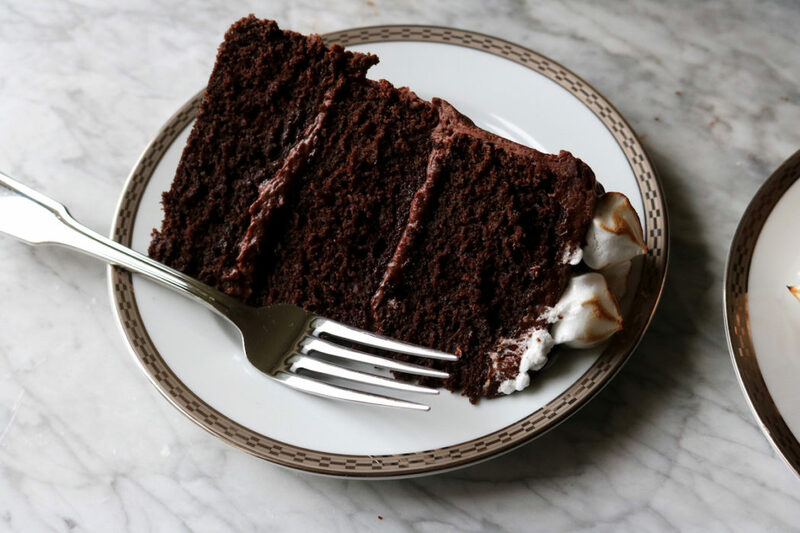 When making this chocolate malted layer cake for those you love I highly encourage you to opt for something along the lines of stretchy pants, elastic waistbands…you get the picture. If you can stop at just one bite you have the type of self-restraint I’ve only read about. In fact I’d like to meet one day and learn your ways. Let’s talk briefly about oven temperature. It has just, sadly, come to my attention that my oven heats unevenly. I’m devastated. For me this means that if I’m baking three, 6-inch cake pans at once the ones on the sides take longer to cook and the one in the middle cooks faster. Life isn’t perfect. Know your oven and trust your gut when deciding when your little cakes are done. The toothpick in the middle is the most effective way of deciding if your cakes are ready to come out. I like extra dark cocoa powder…I often use Hershey’s Special Dark. However, for this chocolate malted layer cake, I happened to have some leftover King Arthur Flour Triple Cocoa Blend and it was amazing! This is totally not sponsored, but I absolutely loved it. All said, you can totally use regular unsweetened cocoa if you can’t be bothered with any of this dark stuff. This is for a three layer, 6-inch cake. If you use cake pans that are larger or smaller you will have to adjust your bake time accordingly. Just note that if you use a cake pan that is much larger, you run the risk of a thin, hard cake. 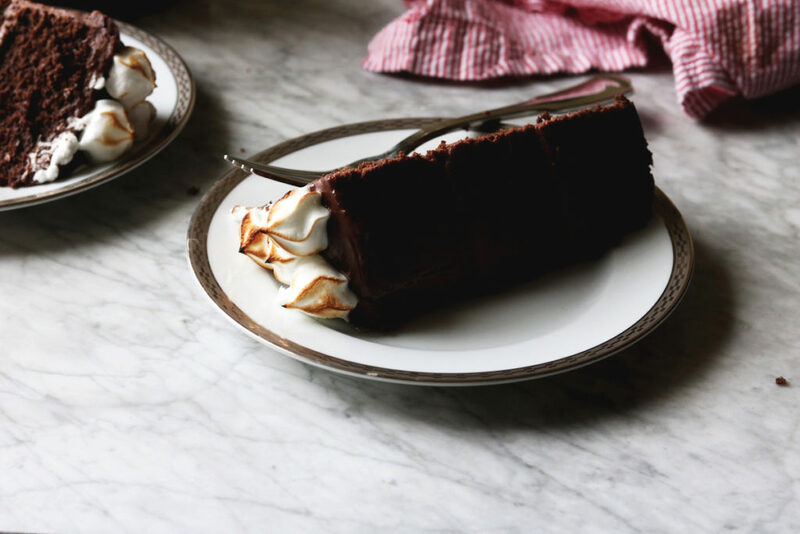 A couple of thoughts regarding the toasted meringue on the top…only include this if you have a kitchen torch as you can’t put the entire chocolate malted layer cake in the oven to brown the meringue. Also only add the meringue within several hours of serving…it gets a little too funky for my tastes the next day. Still edible, but not as gorgeous. I thinned the frosting with Guinness because with all this malt talk I could think of nothing else. But frankly, I didn’t feel like it added too much flavor to the frosting…so don’t feel that it’s necessary. You could easily thin with leftover whole milk from the cake. Additionally, all of your ingredients must be at room temperature before making the frosting. Especially the melted chocolate…if it is warm and goes into the cold ingredients you’ll have a major chocolate seize situation. If that happens, just continue to run your mixer and it should loosen things up. Two thoughts on patience. First, I have none. Which is why you can see that the frosting bulged out from between the layers because I cut this chocolate malted layer cake too soon. Story of my life. So I’m asking you to have more restraint. Wait until your cakes are COMPLETELY cool before frosting and, if possible, let the cake sit for at least one hour after frosting to cut it for the cleanest cut possible. Let’s bake a chocolate malted layer cake!! Preheat the oven to 325 degrees F. Grease (butter + flour) three, 6-inch cake pans. Whisk together the cake flour, all-purpose flour, cocoa powder, malt powder, baking powder, baking soda and salt in a medium bowl and set aside. In an electric mixer fitted with the paddle attachment (or you can use a regular bowl and spoon) put the butter, granulated sugar and brown sugar and mix until light and fluffy.With the mixer on low, add the eggs one at a time making sure that they are completely blended in before you add in the next egg. Make sure to scrape down the sides so that everything gets nice and creamy. Add the sour cream and vanilla and beat on low until well blended. Alternate adding 1/2 of the flour mixture and milk to the butter mixture, ending with the milk and blending until just combined. Put about 1 1/2 cups of batter in each pan. Gently tap the filled tins on the counter to release any trapped air bubbles. Grab your spatula and gently smooth the tops of cakes. Put the tins in the center of the oven for 30 minutes or until a toothpick inserted into the center of the cakes comes out clean. If it comes out a little gooey, then put them back in for a couple more minutes. As soon as they’re out of the oven, set the cake pans directly on a cooling rack and let them start to cool down. After 20 minutes (I always get impatient), run a knife along the edge of the cakes. Then, flip them over, with one hand on the cake and gently tap the bottom of the cake round to help the cake release from the pan. If it’s not easily coming out, flip it back over and let it continue cooling. You don’t want to force it out of the pan or you’ll have parts of your cake stuck to the pan. Once your cake is COMPLETELY cool, start on your frosting. Put the 2 cups of chocolate in a microwave-proof bowl, and microwave on high for 30-60 seconds. Check your chocolate periodically. It’s better to have lumps in it rather than overheat it in the microwave. So take it out when it’s still a bit lumpy and use spatula to stir until smooth. Set aside and let cool a bit. Put the room-temperature butter, shortening and cream cheese in your electric mixer fitted with the paddle attachment and beat until smooth. Drizzle the cooled chocolate into the shortening-butter mixture and blend until fully incorporated. With the mixer on low, add in your powdered sugar + malt powder and mix until smooth and kinda thick. Use the Guinness or milk, 1 tablespoon at a time, to thin your frosting to the desired consistency. Making frosting is a tango (I think I’ve said this before…more powdered sugar? More milk? You decide.). I’ve made it before without cream cheese (because I was out) and it worked fine…just lean in close and listen to what your frosting needs. It will tell you. To frost, set one layer on a cake plate and then frost and stack each layer, then the sides of the cake. For the meringue, place the egg whites in the clean bowl of an electric mixer fitted with the whisk attachment. Beat the eggs on medium-high until soft peaks form; at this speed it should happen in under 5 minutes. Increase the speed and gradually add the sugar + cream of tartar until shiny, stiff peaks form. To check for the correct stiffness, take the whisk out of the mixer and hold it upright…if the peaks hold their shape, you’re done. 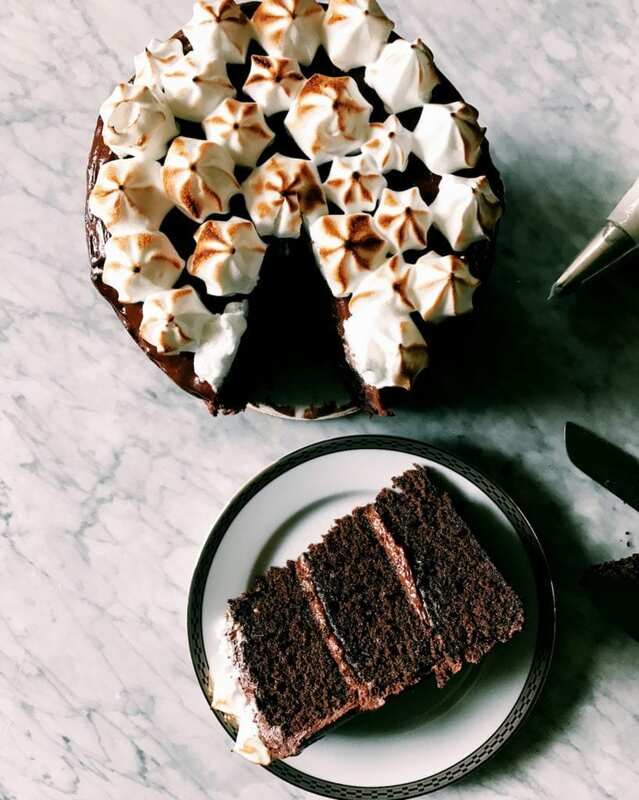 Either pipe the meringue with a star tip or you could smooth it on the top of the chocolate malted layer cake, making small peaks and valleys with the back of a spoon. 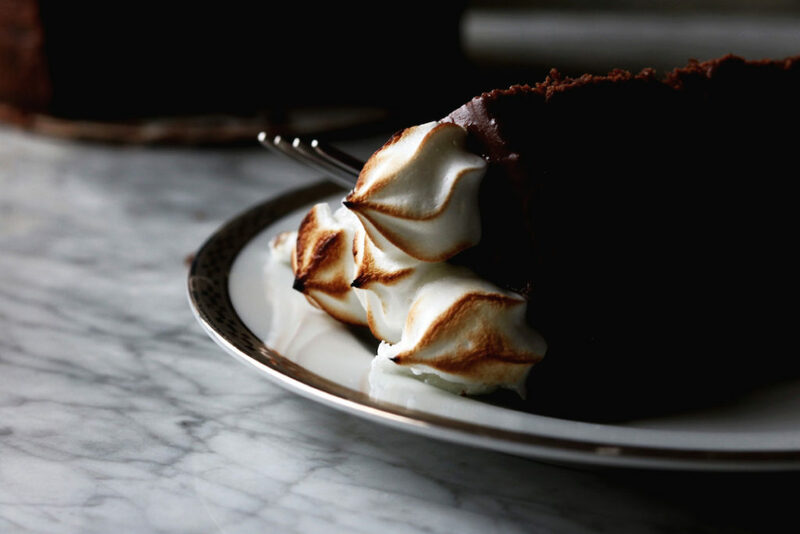 Grab a torch and move it in a circular motion over the top of the meringue until lightly bronzed. Well done. 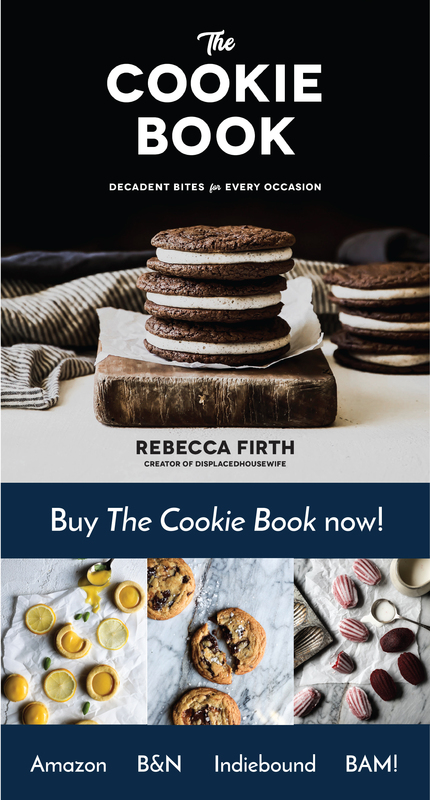 I am so excited to host the King Arthur Flour February #bakealong. 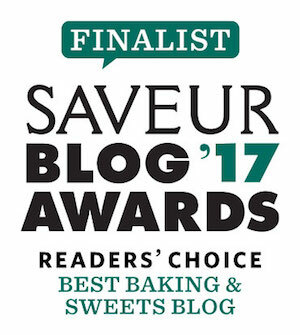 This month’s recipe is for Dark Chocolate Éclairs and they are sublime. And surprisingly easy to make. Really. Here’s the recipe. If you make them and post to Instagram, use the #bakealong so that I’ll see them. I’ll be checking and commenting all month long! I am completely, 100% blown away by this cake. Captain Fantastic. Have you seen it? Watch it. Let’s discuss. I’m completely obsessed with Saturday Night Live. Melissa McCarthy was beyond last weekend. And have you seen Rosie as Steve Bannon? I mean, I can’t. It’s too funny. Oh, and I gave my site a makeover…what do you think?? OK…that’s all for today. Sending you lots of love. so much love for everything here. of course this cake. i mean. and malt. yep, i’ll ride right next to you on the malt train. also completely love your new site. your pictures really pop against the white. captain fantastic…it was one of my favorite movies last year. viggo = swoon. can you mail me a slice of this please…drooling. You are torturing me with this cake…and I mean that in the nicest way. I have no control around chocolate cake either and it would be on my last meal menu for sure. Love, love the gorgeous meringue on top! Yes, the last menu FOR SURE!!!!! I’ve been having so much fun playing around with different pastry tips. The star tip might be my favorite…for sure!!! Hi ! Love your way :-) Thank you for this beauty ! This looks amazing! I also have a love affair with malted chocolate.. have you ever tried Milo? It is a malted chocolate drink we have in NZ and it’s the best EVER. Ha! Hilarious Rebecca! I can just picture it, because I could see myself doing the exact same thing. 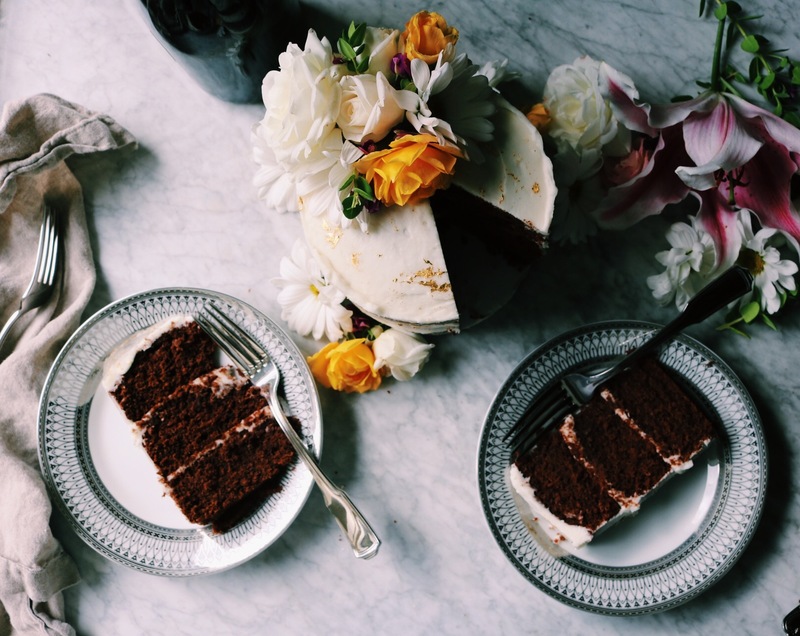 Chocolate cake is meant to be shoved in at alarming rates, so no judgement here! This cake is an absolute beauty that will definitely need to be created at my house shortly. 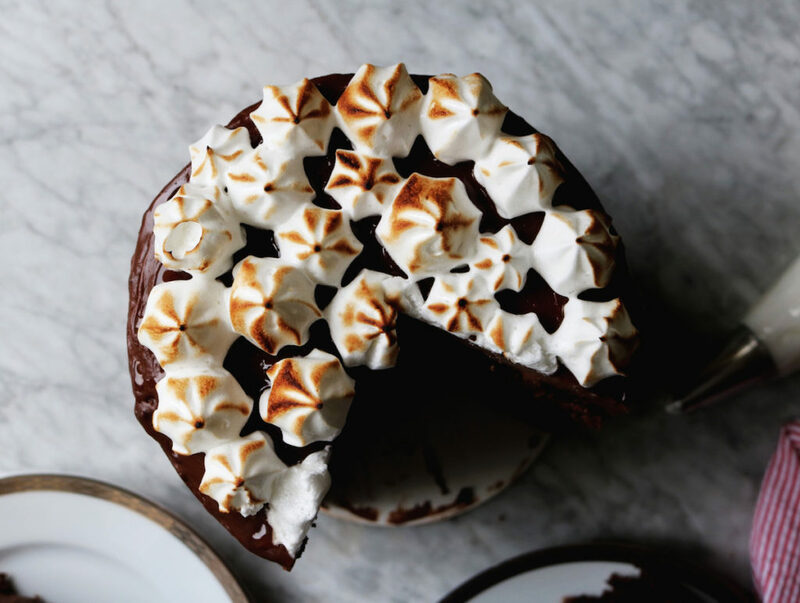 That malted flavor and toasted meringue elevate the ordinary chocolate cake to extraordinary for sure! Thanks for sharing and Happy Valentine’s Day! anyone who has self-control around chocolate cake needs to teach me their ways… and obviously uneven heating isn’t ideal, but i must say that it beats an oven that doesn’t get hot enough and instead makes a thin skin form atop the batter without setting anything underneath (i had to drive a couple of these from my friend’s house to mine so that we could bake them in a functional oven).